Free $25 Visa Gift Card! Rebate Center » Free $25 Visa Gift Card! 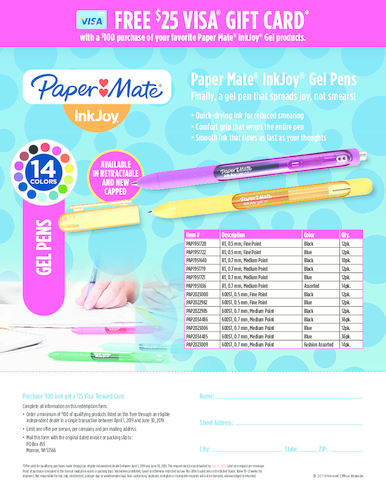 Purchase $100 of Paper Mate InkJoy Gel pens and receive a free $25 Visa gift card!